Aerin Lauder, the beautiful granddaughter of beauty icon Estée Lauder has released a new beauty collection inspired by the “natural ease of vacation spent at the beach”. The Shell Colour Collection comes in stylish gold packaging and includes all of the essentials you’ll need this Summer. 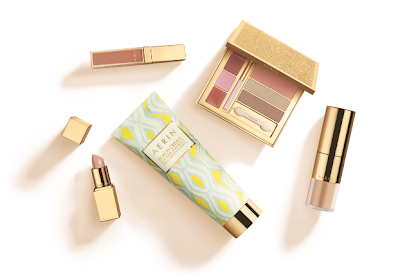 AERIN Summer Style Palette ($78 CDN) includes two eye shadows, a blush, two lipsticks, two lip glosses and two applicators. 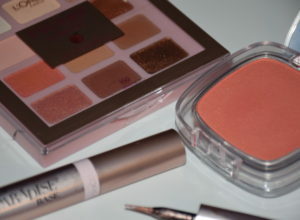 The eye shadows softly define the eyes while the blush gives off a healthy rosy colour. 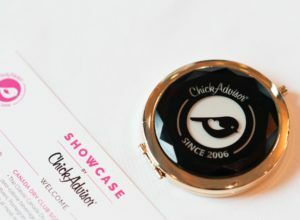 Packaged in a beautiful square gold mirrored compact. AERIN Lip Gloss ($34 CDN) is available in two natural, high gloss shades (Shell & Sunset), both inspired by the beach. AERIN Lipstick ($34 CDN) in Beach Beige “adds a relaxed, casual glamour and a kiss of colour to any look”. 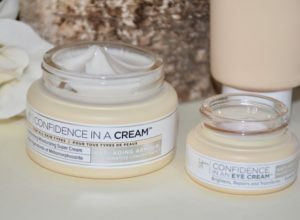 AERIN Beach Cream ($50 CDN) is a multi-purpose product for both skin and hair. It is a shimmering formula which is perfect for hair and skin that has been dried out from the sun, wind or surf. Gives skin that sun-kissed bronze glow and conditions hair. Here are a few items I have from the upcoming collection…. The AERIN SHELL COLOR COLLECTION will be available for a limited time beginning April 2013 at Holt Renfrew Toronto Bloor Street, Calgary, Vancouver and online at www.esteelauder.ca. 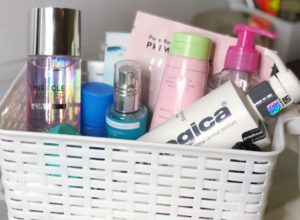 What do you think of this sun-kissed collection?